Back pain can be extremely painful and the diagnosis can be difficult in many cases. However, there are numerous treatment techniques available these days, ranging from simple pain killing measures to advanced surgeries, which offer efficient back and neck pain relief. Nevertheless, there are several myths and misconceptions about back pain and the treatments adopted to cure it, so let us debunk a few myths regarding back pain problems here. 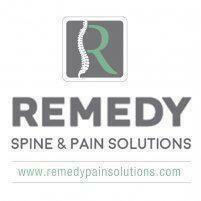 Many individuals believe that there is a standard cure for most of the back and neck pain problems. Though a few standard procedures are required for the diagnosis and treatment of back pain problems, spine specialists disagree on the diagnosis and a pre-set treatment plan in majority of the cases. Even though the diagnosis is simple, numerous opinions may arise regarding the treatment method. Another common misconception among individuals is that bed rest helps to reduce back pain. Though it may help to reduce the pain for a few days, the pain could gradually increase afterwards and cause adverse effects to your body. Bed rest is recommended to back pain patients only when there is a need to reduce the pressure on the disks in spine, or to end the mechanical stress that irritates the receptors. Many individuals claim that heat and massage can help in back and neck pain relief. This fact cannot be neglected blindly, as heat therapy and massaging can actually help to reduce acute pain to some extent. However, these measures fail to offer a long-term solution for severe back pain issues, although heat and massage are recommended during the recovery period though. Back pain problems do not get worse with age, as some assume it to be. Though the chances for the occurrence of back pain are greater between the ages 35-55, people actually experience less pain after the age of 55.Even the chances for discogenic pain are extremely lower in seniors than that in middle-aged people. Some people believe that chronic back pain can eventually lead to paralysis. However, experts say that even a highly severe case of back pain does not relate to paralysis by any terms. Yet again, spinal infections, spinal tumors, and unstable spinal fractures can sometimes lead to back issues resulting in paralysis.